One of the perks of using WordPress as your website’s content management system (CMS) is the ability to place new posts and pages within tags and archives. The next time you create a new post or page, look to the right-hand menu and you’ll see a widget-like box for “Categories” and “Tags.” Using these elements can prove useful in boosting your site’s search engine visibility while attracting new visitors in the processors — but only if it’s done correctly. Tags vs Categories: What’s The Difference? Some bloggers assume that tags and categories are the same, so they tend to use them interchangeably, mixing and matching them together. While they share some similarities, however, they are both unique elements of the WordPress hierarchy, and thus should be used in different ways. Think of the categories as the table of contents for your blog or website, with each category representing a particular section or chapter. When a reader opens a book, he or she is presented with a list of the chapters. This is similar to how categories work, with each category housing related content under it. Tags, on the other hand, are comparable to a book’s index, directing users to a particular section rather than a relevant category. You might be wondering what (if any) benefits there are to using tags and categories. Well, the greatest benefit is the ability to drive more traffic to your blog of websites. According to the folks at ManageWP.com, as much as 5% of a WordPress website’s total search engine traffic originates from tag listings. Therefore, overlooking this key element could leave tons of traffic up on the table for your competitors to grab. The key thing to remember when using tags and categories is that you want to strike a balance between offering visitors plenty of options while still keeping them relevant and somewhat narrow. Using too many tags and/or categories can make it difficult for visitors to find specific content. Consequently, not using enough categories and/or tags goes against their purpose to categorize content. Keep your tags and categories to a minimum, adding new ones each time you publish a different type of post or page on your WordPress site. You can give the search engines a helping hand by linking directly to your tags and categories from within your website. If you operate a pet website and have a category labeled “dogs,” you could link to the dog category whenever you mention dogs in a post or page. Visitors may click on these links, checking out some of your previous posts and pages, while search engines will also follow these links, increasing the percentage of indexed pages for your blog. Have anything else that you would like to add to this post? Let us know in the comments section below! 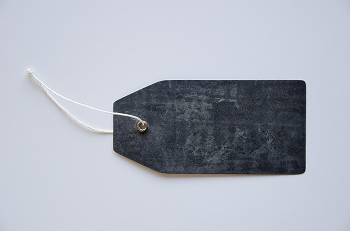 If your blog platform allows it, you should be assigning categories and tags to your posts. 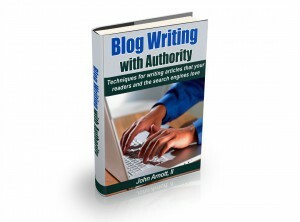 WordPress allows you to do both, and knowing how to use them correctly makes it easier for readers to find your posts. I’m creating a new site and this is just what I needed. I’ve had a difficult time deciphering when to use tags v. categories and this lays it out perfectly. Pierre – I’ve always been told no more than 10. Very insightful post. This is a nice post. Thx. How many tags are suggested to use?